It was my birthday on Tuesday. I celebrated well, like any responsible table games dealer would(no, I did not search whether that was an oxymoron)…alas, I went to Roz’s diner in Rosebush, with my Dear James, his treat…but we’ve wanted to try this. I made plans next year that supercede this one, trust me;-). Roz’s was good. I had the lamb burger. I got out of work at 12:03AM the morning of my birthday(and though I had to be back at 12:15pm to pick my new shift,) I used the early day to prep for the quilt show. I received a new sewing machine of my request…I’m not sure what I was thinking when I picked it, but I believe it will work for me. I’ve opened it and looked, but I haven’t used it yet. 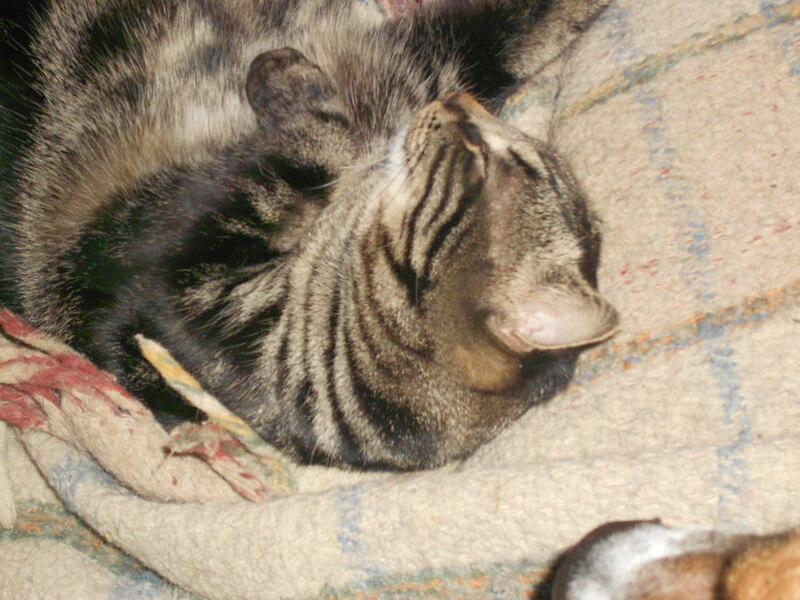 My quilting may move into the twentieth century….but truly–where would the fun be in that. I often remind dear James, as I did tonight, that if the zombie apocalypse happens(and looking at our presidential candidates–it has–i’d rather talk about the silliness of pokemon go), I’ll be in high demand. As I watch the gymnasts and swimmers on the Olympics and hope they survive their treks through unsafe waters, I can only hope. In the meantime, I got some knitting done at the quilt show. Then I came home with scores of new fabric(yes, I was lucky enough to shop this year–and well, did what you guys do, right?). We will not discuss budgets…but I didn’t list that all my dreams had come true. (I’m not even sure of all of them some days). But I got more than expected…allow me to show you;-)! This should be a pretty cool purse, see what I mean;-). So, sometimes, you just have to do what the pattern says…I think. And sometimes, it helps to remember which needle is #1 and which is #3…. I’m also wondering if I will need to rip out more of this darned sock.. This is not my favorite activity, and Squib, the munchkin has decided he currently likes the point protectors I keep on the needles. I knit the first two rows of the gusset…I had one word for it, distinctive. I wanted to see how distinctive it would turn out, which included doing what the pattern says. Instead, I got the needles backwards. It looked like I was purling. I really dislike not realizing which needle is meant to be which. I’m hoping I don’t have to rip out any more rows, at this point. Two rows is enough for me to frog. Squib has refused photographic evidence of his point protector transgressions…I’ll try next time to get it. I confirmed that I had confused my needles and may have to rip out another part of my stitches as well, but it should be a partial part. And one day, I will learn to follow the pattern to the letter and consult Silver’s Sock Knitting class before I begin knitting the gusset. 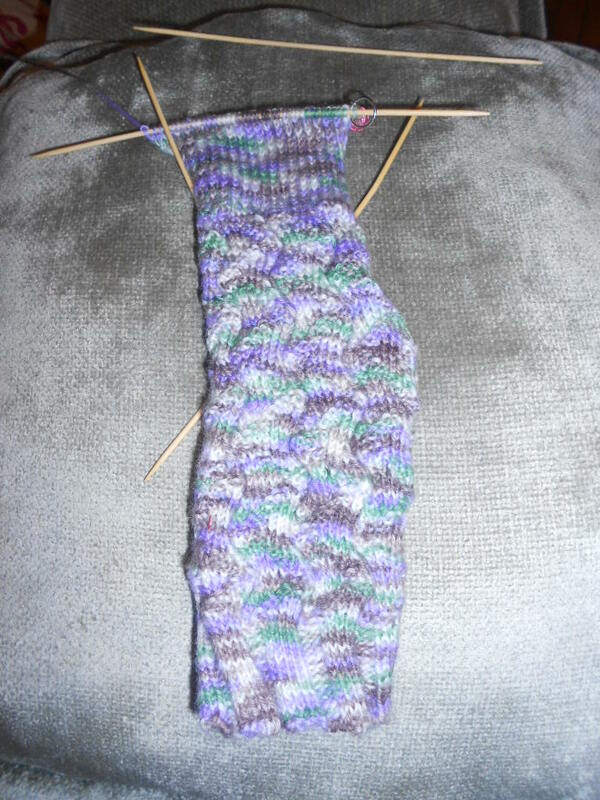 Not quite where I was supposed to be going with this…More sock next week. I like distinctive socks; I’m just not quite comfortable with the getting there. Once I see it work a different way, and this pattern is slightly different, I will likely enjoy the result. However, in the meantime, I sit here and think It’s not quite supposed to work this way. Will it work? All the while, I’m considering simply knitting what I know. But I like this pattern. I chose this pattern. 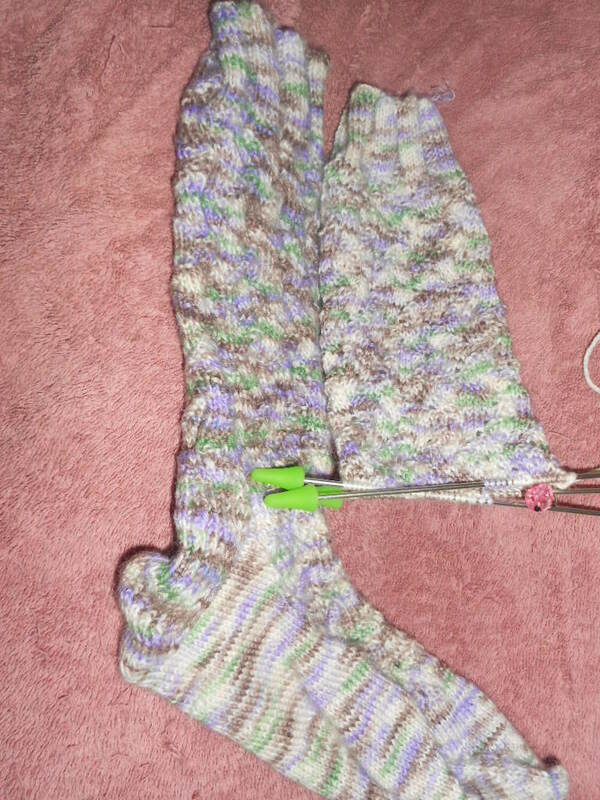 When I finish, I want to see beautiful socks that closely resemble what these were meant to be. I don’t want to look at these socks and say, “I chickened out when it came to doing something different.” If that was me, I wouldn’t have left knitting scarves. I may never have continued with knitting, or with many other points in my life that proposed challenges. But those challenges are the ones that often show me the durability of the yarn and knitting of which I am made. Now, to begin this gusset, correctly; so I may show you how distinctive it really is. 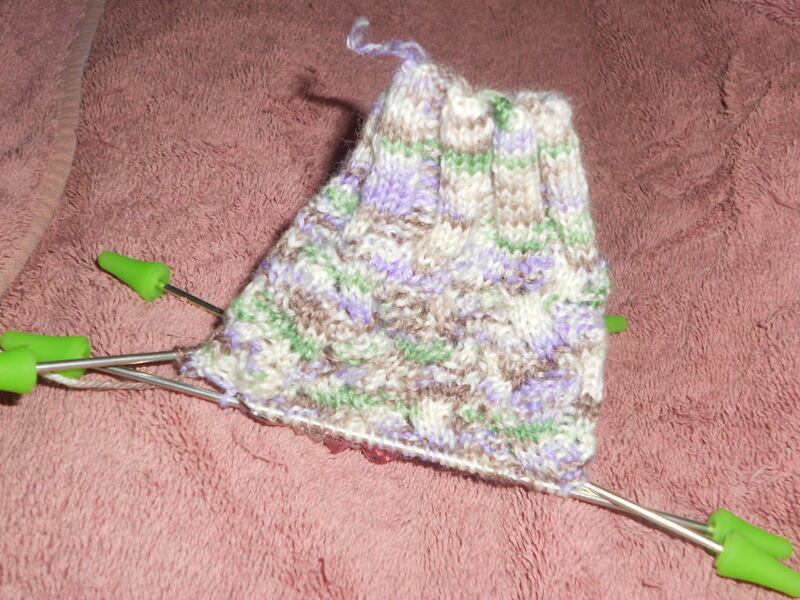 However, as I tried to re-knit the rows I had already frogged once, I realized I was making the same mistake again. 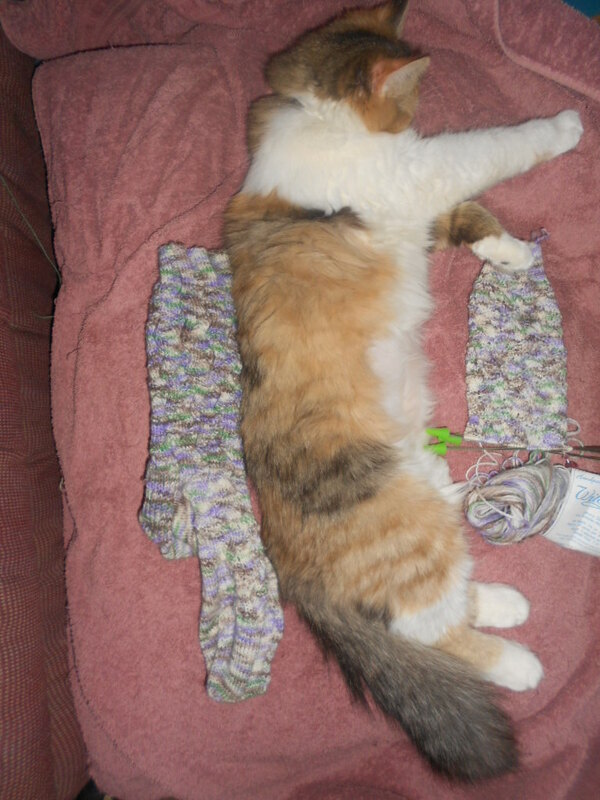 At this time, it seems, I am too tired to continue on with this gusset. However, Sunday is coming, but so are mid-terms. I will make time to knit a couple of rows and talk more of this “distinctive” gusset and how it is created. In the meantime, I will finish petting Scamp, who has determined she needs attention and try to keep Squib from chewing on the point protectors. Just when you think they’re getting old enough to leave your knitting be, they remind you they still embrace their inner kittens. When making socks one at a time, I find I have the added challenge of making both socks pretty close to the same. 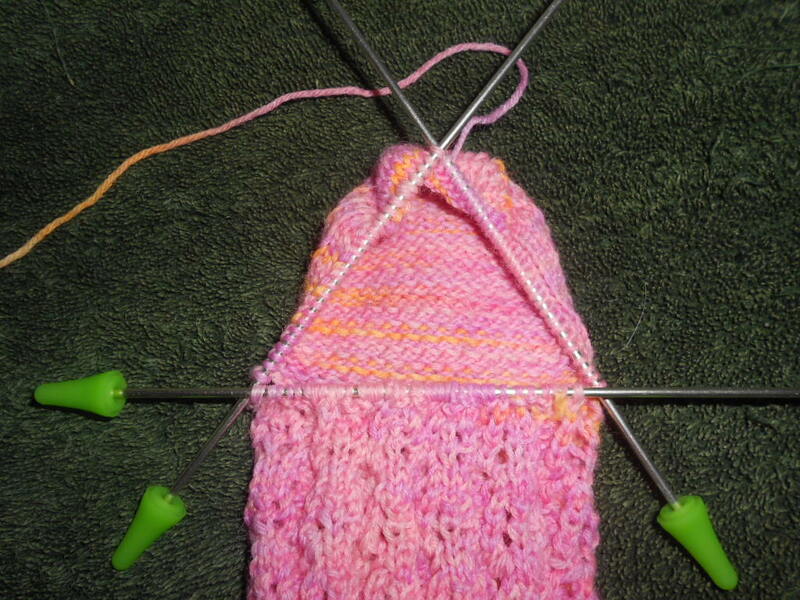 By this, I mean if I leave a noticeable angel kiss(mistake), I should repeat it with the second sock. To give you an example of how long this sock making is taking, I posted a blog around New Year’s; I made a mistake… posted on December 37, 2013; and Gussets and Lace posted on January 10, 2014. I’m now at the same point on the second sock, three and a half months later. These socks take time. I also knit other projects, begin quilts, read and sometimes make jewelry-among other hobbies I collect. Some days, I teach kindergarten or preschool and I forget I own knitting needles on those days. Time-consumption aside, a good pair of socks does take many hours to knit. Since I chose to keep the mistake, instead of ripping out two one hundred plus stitch rows, I feel I should refer to it, and figure out what the mistake was so I may repeat it, with reasonable closeness. 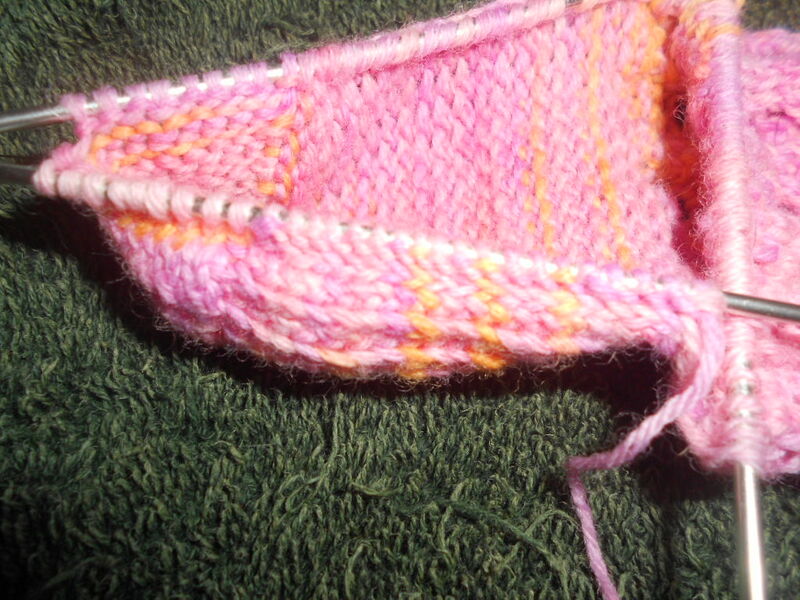 I’m approaching the heel-flap, and I know I’ve made one of my mistakes here. I actually thought I made both of them here. However, it appears I made the mistake of wrapping the heel flap, when I was simply supposed to move the yarn to the front or back. I have not decided if I need to repeat this mistake. I do not suspect I do, as it seems to be mostly unnoticeable. But in a lace pattern that leans towards the delicate side, I feel I should repeat this mistake once I finish the heel flap and heel turn. I reviewed my own blogs today, to figure out what I did, and how I did it. I also looked at the sock, but so far, everything looks okay…its not an easy pattern to decipher in this high contrast variegated yarn. One piece of advice, if you are knitting a project in two parts and choose to leave a mistake, write it down so you can refer to it when you get to that part of your knitting again. You will likely need it. In the meantime, happy sock-making. I will try not to bore you with too much info on heel-flaps and heel-turns, but it may be what I have to blog about next week…. Unless I take a break to talk about Easter or other Knitting Projects. Wish me luck with the socks, please! Happy Easter for those of you who celebrate it. 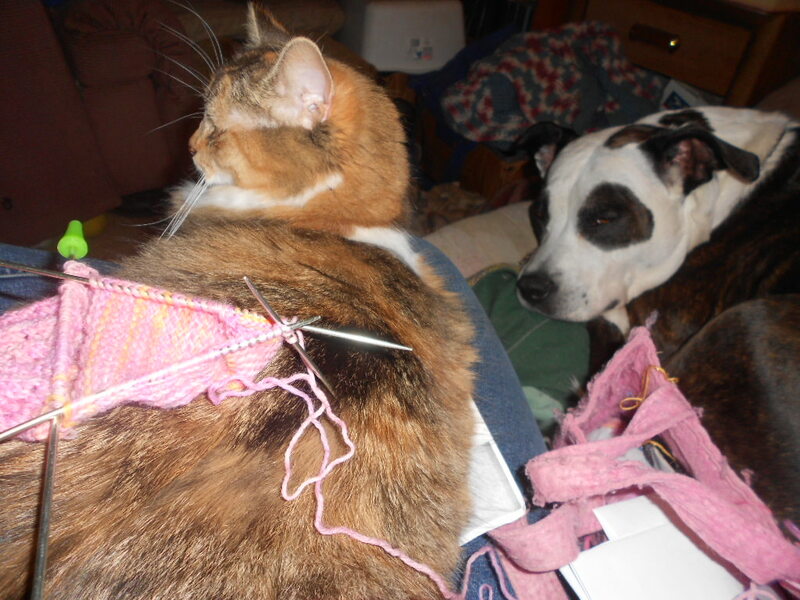 Since you let me help you with pictures tonight, perhaps I’ll leave your knitting alone. Then again, I do love yarn. But, perhaps I’ll try. I know how to zip the bag closed and keep you out. Go find Squib. SSK vs K2T…aren’t they the same stitch? I’ve knit four sock monkeys, which are knit similar to a pair of socks, just with bigger yarn. I’ve knit two complete pair of socks and am on my second sock of the third pair. I’ve had to work with increases and decreases in each pattern, and began one of my earliest patterns with increases and decreases as a challenge to keep me interested in the pattern. I need challenge, or I am likely lose interest. In many of these patterns, I’ve encountered a number of ways to increase and decrease stitches. Today I plan to focus on two specific decrease stitches. Originally, when knitting a project and I encounted a ssk(Slip, slip, knit) decrease, I treated it much like a k2t(knit 2 together) decrease. The achieve the same purpose, to decrease the stitch. Since I didn’t notice much difference between the two stitches, I often just knit two together on both sides of the sock or sock monkey in order to decrease the number of stitches. Most of the time this wasn’t noticeable. I also noticed over time and multiple projects, that ssk was often on one side of the gusset or toe, and k2t was on the other side. I thought perhaps it was a directional thing. But my socks are comfy and warm; so I did not worry about the difference between these two stitches. As I knit my current pair of socks, I reviewed my lace chart for the next row one day and realized I had both ssk and k2t in this pattern, and was expected to use them at different times and places. the ssk is on the left side and bottom half of the lace pattern and the k2t is on the right side and top half of the lace pattern. The goal of this design is to create a diamond or “Almondine” shape. As I was knitting, and reviewing this pattern, I decided to review my definition of each type of stitch and investigate the difference, if, in fact, there was any. There is a difference. While it is not a huge difference on some simpler patterns, or something that uses bulky yarn. I noticed that the ssk left a smoother stitch in its wake. Someone scanning this or casually reviewing it might think both definitions mean put both stitches onto one needle and knit them together. They don’t. The ssk requires extra steps, and it leaves you with a much smoother work I hope my pictures explain, as for the bottom half of this lace pattern, I was careful to knit all ssk stitches as defined. 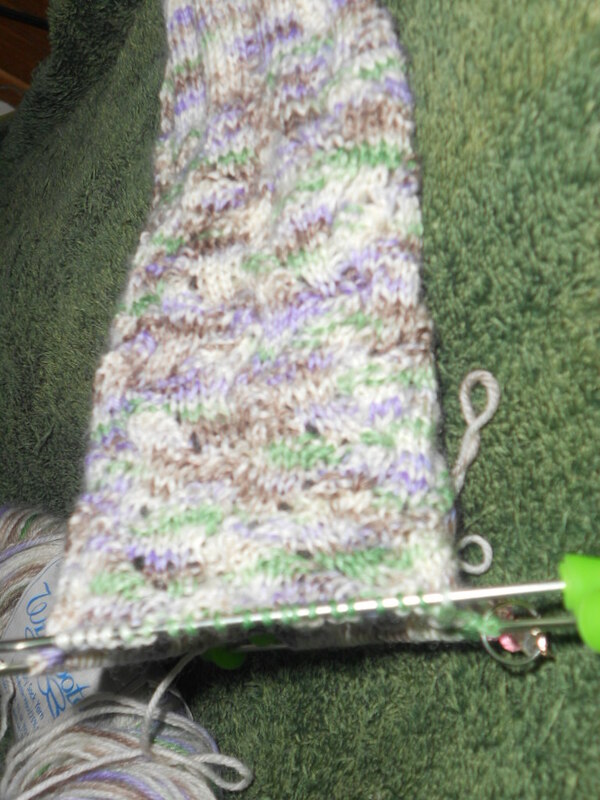 It left a smoother decrease than the bumpy knit two together. I hope my pictures can do this stitch justice as I don’t have any cool draw on my photo tools that I can use with the understanding which I have displayed regarding these two stitches. You did not tell me you were taking pictures of socks. 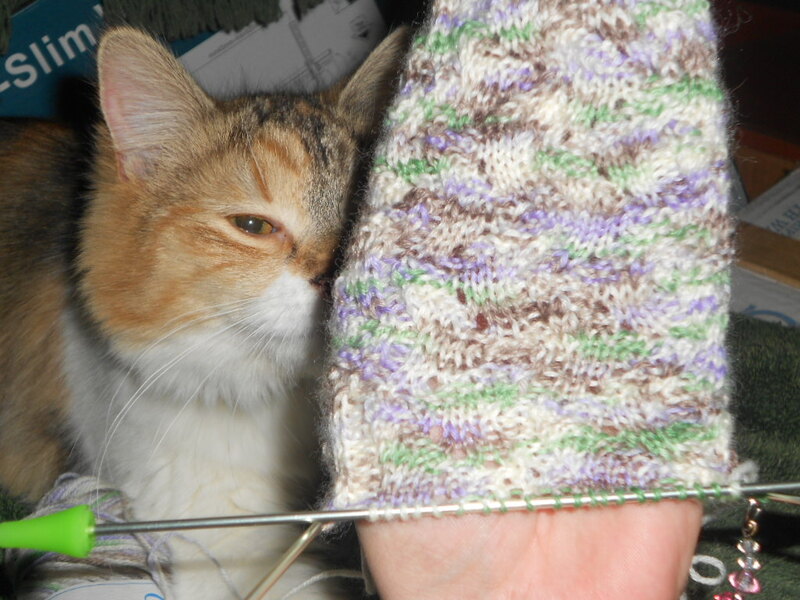 You did not include me when you knitted with that lovely fun yarn you have. 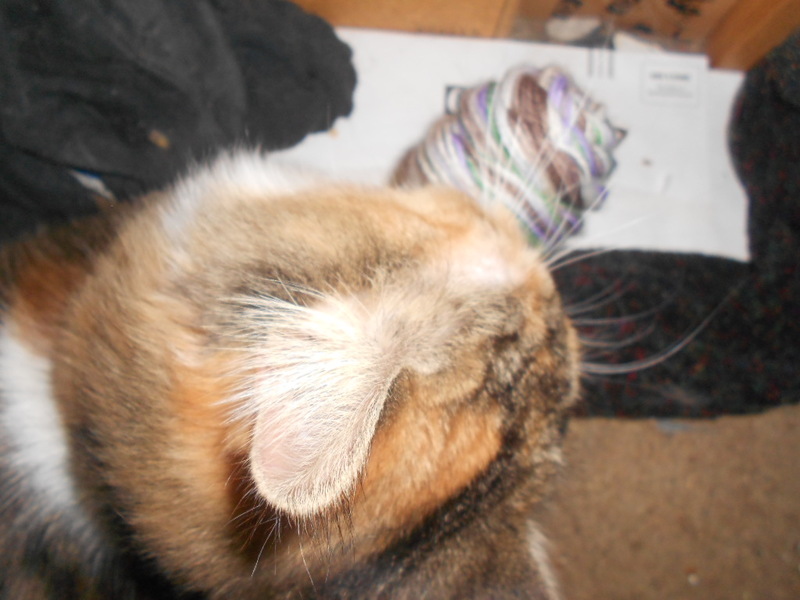 Therefore, I shall steal your sock knitting yarn, even if it’s still attached to the sock and run away with it…Drat! You caught me. I’m serious. The yarn is not safe. If you can play with it, so can I. Go ahead, take it out to knit…I dare you. Do I really have to wake up Squib to keep you entertained? Stay out of my knitting. 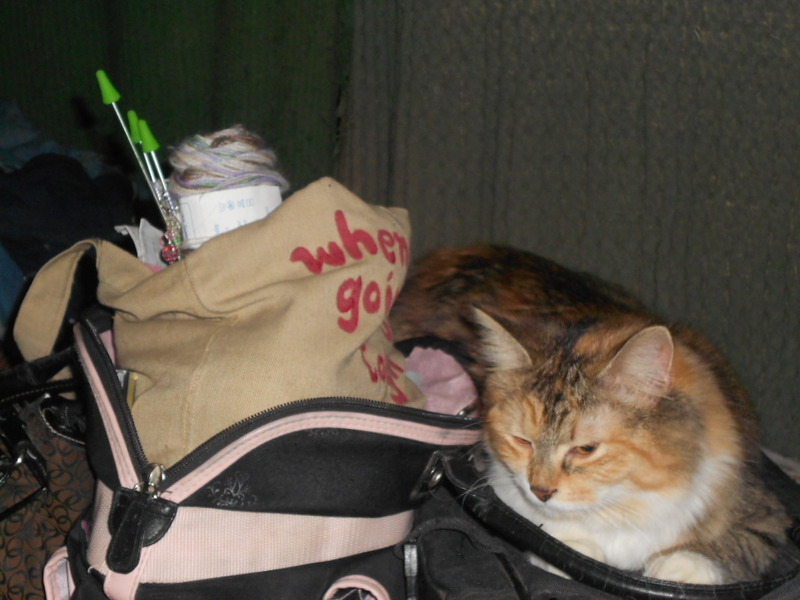 Scamp pretending she is not at all interested in my knitting bag…only when the camera is present. 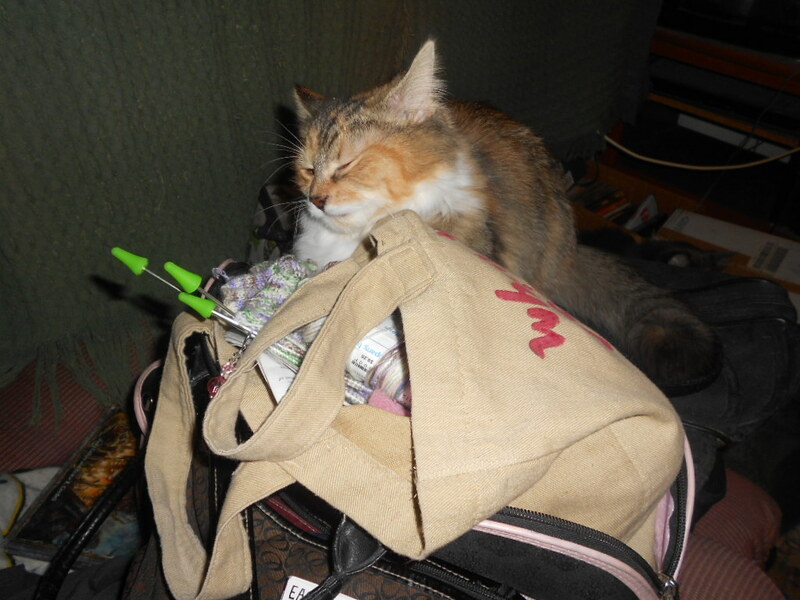 Lucky for her, and Squib’s nap; she decided she was hungry and is finding other things to get into. A Saturday night in my life, or any night in my life;-). Go ahead and try to chat with Dad(aka, boyfriend, aka James)…or wake up Squib. I’m taking the yarn, again. …30 Minutes Later…Squib woke up. Thank goodness!